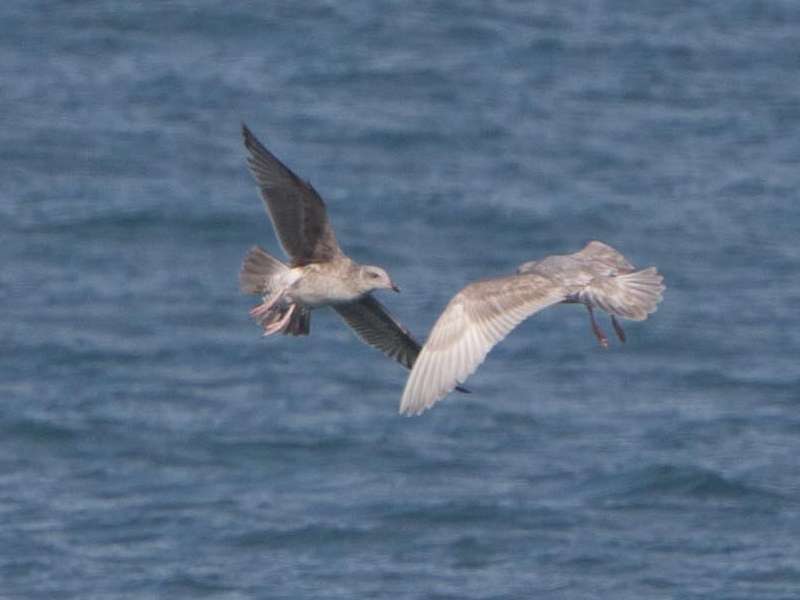 Second-cycle gull – pale Thayer’s or a Kumlien’s? 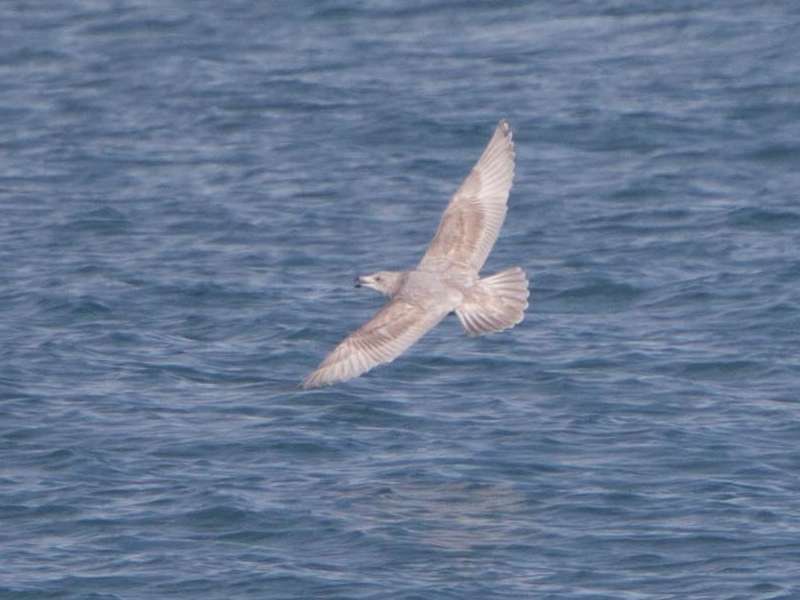 [All photographs copyright, Gary Nunn 2016] – I made a late morning venture down to Point La Jolla to do some seawatching today 09 January 2016 but found it very quiet with offshore winds. 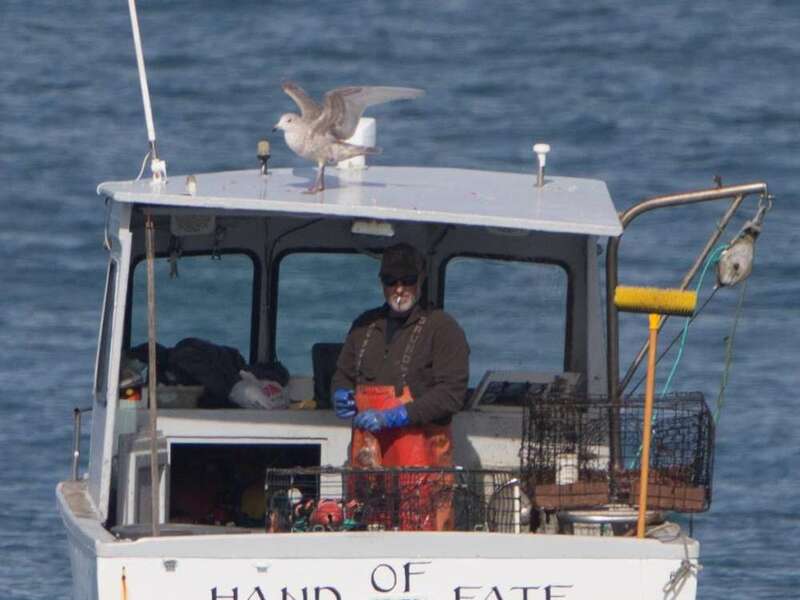 I was about to leave when an interesting looking second-cycle “white-winged” gull caught my eye flying out of the cove towards a small fishing vessel. Looking at surrounding gulls it was smaller than a Western Gull, maybe about the same size as a California Gull with a gentle looking relatively small rounded head. 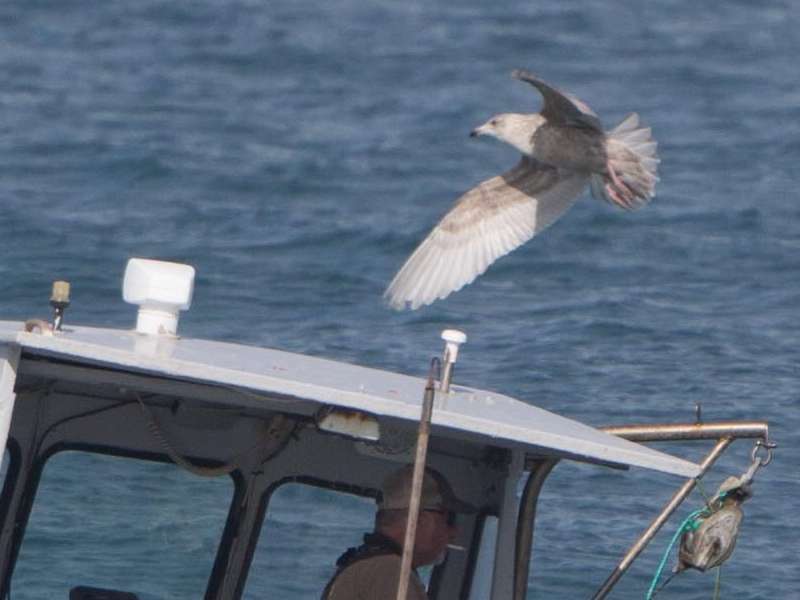 Photographs show a bicolored pink-black bill and overall pallid looking upperparts without strong contrasting markings. The mantle is a nice frosty gray color. In particular the primaries and secondaries seem to be quite pale and without strong contrasting markings. I don’t see any sign of a dark secondary bar or very dark edging pattern to the primaries which would be expected in second-cycle Thayer’s Gull. 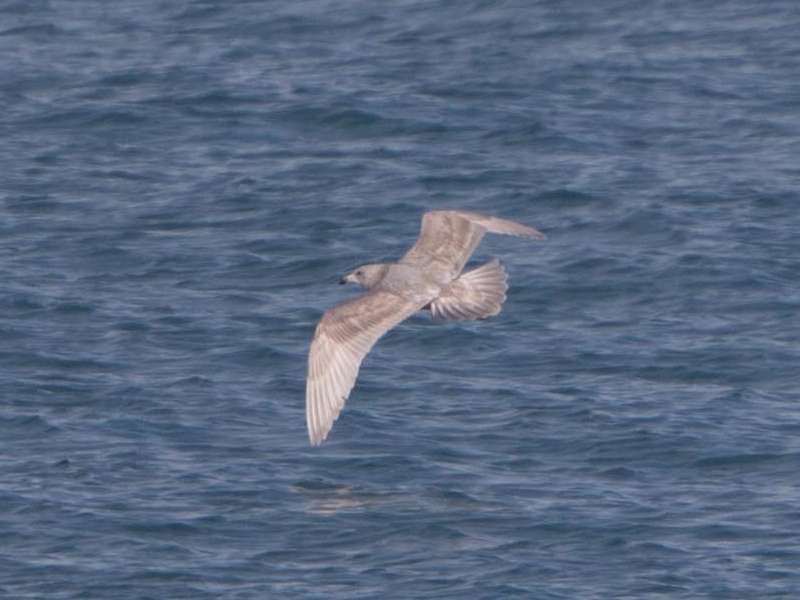 In fact I think this bird might show characters better aligned with Kumlien’s Gull L. glaucoides kumlieni looking at the only slight dark outer webs to the primaries and more even looking paler secondaries. 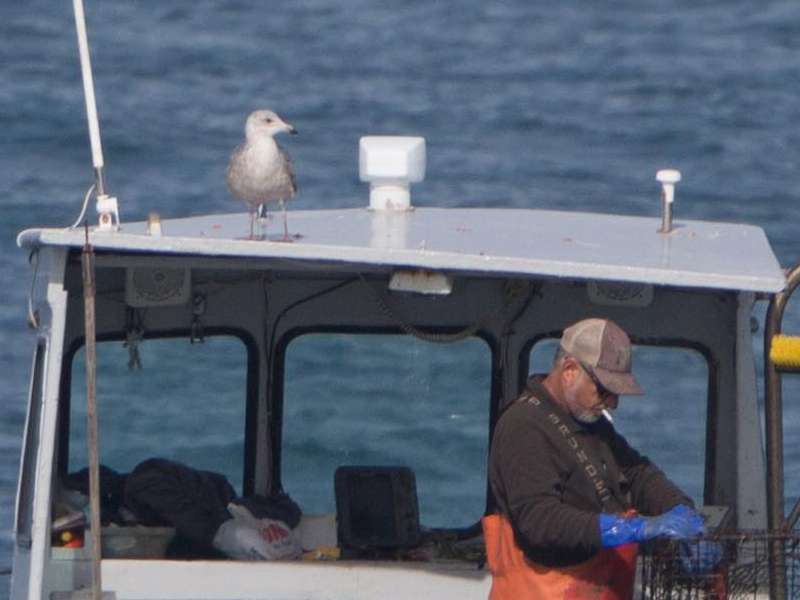 It certainly looked much whiter overall than a first-cycle Thayer’s Gull also hanging around the fishing vessel. Perhaps closer more definitive photographs could be obtained if it is seen again. 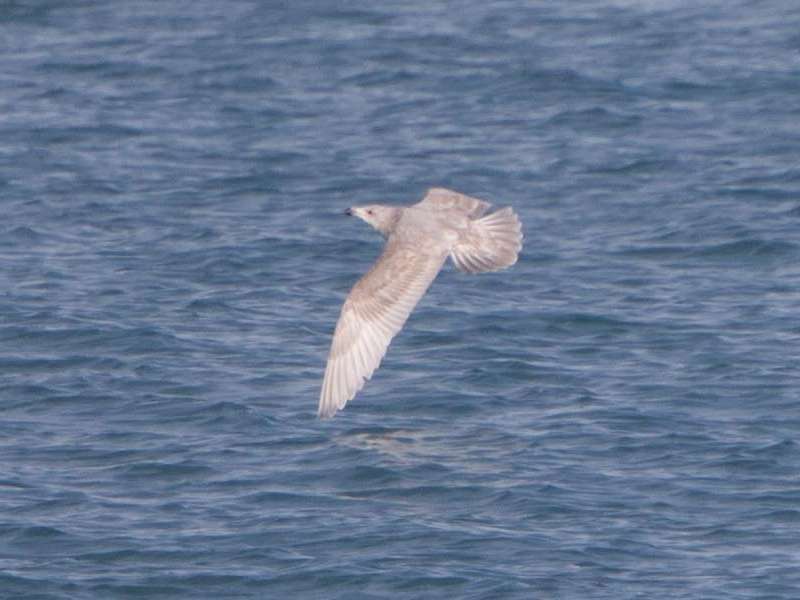 I waited around for some time hoping it would come closer but it took off further offshore following fishing boats. Comments welcome! Hi Angelina, the Brown Booby has increased in numbers hereabouts with several hundred birds now present on the Coronado Islands, Mexico. 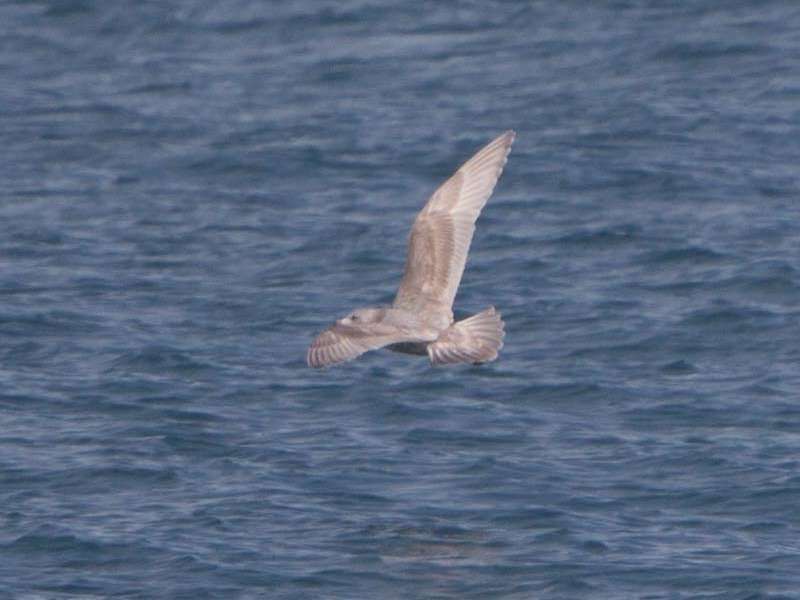 They are frequently seen of La Jolla and can often be seen perched around the seabird rookery.